In class, the topic of new product opportunities was discussed. Of these opportunities included (1) understanding the consumer and (2) technological change. In 2014, a company known as InterActivCorp (IAC) took advantage of these opportunities to learn about consumers, their wants, and the modern use of technology. As a result, a different form of social networking was born to success–Tinder. The process of matchmaking through the Tinder app is simple and to the point. The user connects their Facebook account with the app. Next, you input your matchmaking preferences. Then, a profile picture of individuals in the area who match your preferences will show up on screen. By swiping the picture to the left represents there is no interest. By swiping the picture to the right, indicates some interest or attraction you are willing to explore. If that specific individual also swipes your picture to the right, a match is made. This unlocks the ability to chat with one another and take that next step into the relationship. Simplicity: The app is strait forward and easy to use. Efficiency: Countless possible matches can be scanned in seconds. Security: With the ability to synchronize with Facebook, it becomes harder for others to lie about who they are. Assurance: The concept of not being able to chat unless there is a mutual interest for each other provides more confidence in the process. Accessibility: In the form of a mobile app, everything is held at the palm of your hand. Ability to Encounter: Only individuals who are in your selected vicinity will show up as possible matches. These are not the only factors that attribute to Tinder’s popularity, however. In much simpler terms–it’s fun. The entire operation is like a game. There is mystery and excitement. Not only that, but many of the photos that show up on screen may show to have mutual friends. The awareness of common connections already creates an idea of possible shared interests. By including those living in surrounded areas creates more of a reality. Knowing you can meet up and attend dates without worrying about long distance, holds more promise in the relationship. In these ways, Tinder has triumphed with the help of an audience holding common goals–to mingle and meet great company. With such attributes and such deep understanding of customer wants, this app has prospered greatly in the past two years. Personally, I believe that the creators of Tinder took an opportunity at hand and created something original of an already known idea. Building upon the concept of social networking and online dating, this new form of interaction has impacted many. What do you believe makes Tinder so appealing to its users? Will Tinder’s success last in today’s world, or will another new product opportunity take over its fame? great post! I think the creators of tinder did really well at recognizing the opportunity that was there and taking that opportunity and running with it. I actually never used a dating site but I have friends who have used them before, and it just seem like a lot of work answering through all the questions that are asked. I think the simplicity that tinder offers is very great, because it seems like you no longer have to answer those long surveys. I guess time will tell what happens to tinder, personally I think is a fad because other companies are always looking to improve and make better products but if they can keep improving they can definitely hold that market. Very interesting post. I have never used a dating site but I have some friends who have used Tinder. I think that the fact that it is really easy to use makes it more enjoyable for people to use it. However, I don’t think that Tinder’s success will last very long because as you mentioned technology is always growing and improving. An amazing post that captured my attention from start to finish. I never heard of Tinder but it sounds interesting for people trying to find others with mutual interest. Also how it links with Facebook, making it easier for people to grasp a better “vision” of that person they are looking at. With time, new and improving social media are being created and if tinder can continue grabbing users attention then i see it being around for some time. This is a great and interesting post. I have never actually used the app, but many friends of mine have.I think the use of the app and how you can just swipe makes it very attractive and that is why the app has grown so fast. I think as technology changes so will the app so I think its a great start to the app. Other sites where you have to make a user name and log in take forever where this is simple and easy to use. Its also nice that you have to be matched with someone for them to be able to talk to you so you don’t waste your time talking to someone your both not interested in. This post is very interesting because of how popular Tinder is. I think the reason why Tinder is so popular is because of how easy it is to sign up. I think this app targets younger people as well, since you don’t really have to sign up for it except connecting it to your Facebook. Usually dating sites can be seen as being desperate, but Tinder is portrayed as being more acceptable. There will always be new innovative apps that will take over, however, I cannot think of anything that will be as easy and fun as Tinder. I think the reason why Tinder is so popular is because it is so simple. You swipe one way if you like what you see, and the other way if you’re not interested. It basically takes the guess-work out of dating. You have all of the information at your fingertips, and you’re not going in blind. I’ve never used Tinder, but I think it’s a great and innovative app. I’m sure a new product opportunity will eventually come along; one always does. But as for now, Tinder is the new craze. Great post. I think that Tinder got popular so fast is because it connects with Facebook and it always people to socialize and meet each other while having mutual friends. In addition, it is simple to use and always you to see the people in your area that share the same interests as you at your fingertips. I think that Tinder is just a fad and will become less popular as the year goes on similar to Vine. This post definitely caught my interest. While I am not a Tinder user, I understand its uses and I can see its appeal. I think this popularity is due to exactly the points you mentioned, Simplicity, Efficiency, Security, Assurance, Accessibility, and Ability to Encounter. The most important would be, as you mentioned, that it is fun. I think this app, like many popular apps, will continue its success for a number of periods and once the new thing comes out, it will lose its appeal. This a very interesting post! I agree with you that the creators jumped on this opportunity and have been very successful with it. I personally don’t use the app, but I have friends who do. The appeal for Tinder comes from the 6 factors you mentioned in your post. It is like a game, my roommate said she was swiping profiles and before she knew it, it was 1am, and it can become addicting. However, as popular as it is now, I think in three or four months Tinder will be a thing that people refer back to and laugh about. I don’t think it has much sustainable success, because like most games, people become bored and move on. 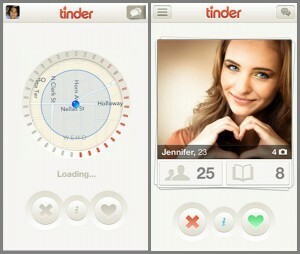 Candy Crush was the new “app” last year, Tinder will take it this year, and something new will replace it. That was a very interesting post! It’s always very cool to take something so popular in every day life and relate it to operations management. It is very clear to see where the creators of tinder took advantage of this new product opportunity. I don’t have a tinder myself but I was told it was a matchmaking app, but when my friends talked about it they would ask each other “are you playing?” or “did you win?” which really gives off the impression that it’s a game. I think that’s what makes this app so unique. 20 year olds don’t want to believe they’re already using a match making service so by turning it into a game, the creators were able to take the pressure off and make it simply enjoyable. I think that’s a very creative way to go about marketing this app. To answer your question, no I don’t think Tinder will last. As others said in their comments, I think it’s just the most recent fad. It will eventually be replaced by something else, but it will be intriguing to see how long it lasts. Very interesting post. It was definitely a success for this company as it well marketed and designed. However, it is sad to see that there are people meeting up though this app. There are so many other ways in meeting a person. Friends of mine use Tinder and they really enjoy it as it is pretty simple in swiping pictures and choosing the person you are interested in. What I head is that there are a lot of dating apps besides this one. I guess Tinder did a great job in staying the top. However, there will be another app eventually that will be better than Tinder, as technology changes and peoples’ need as well.